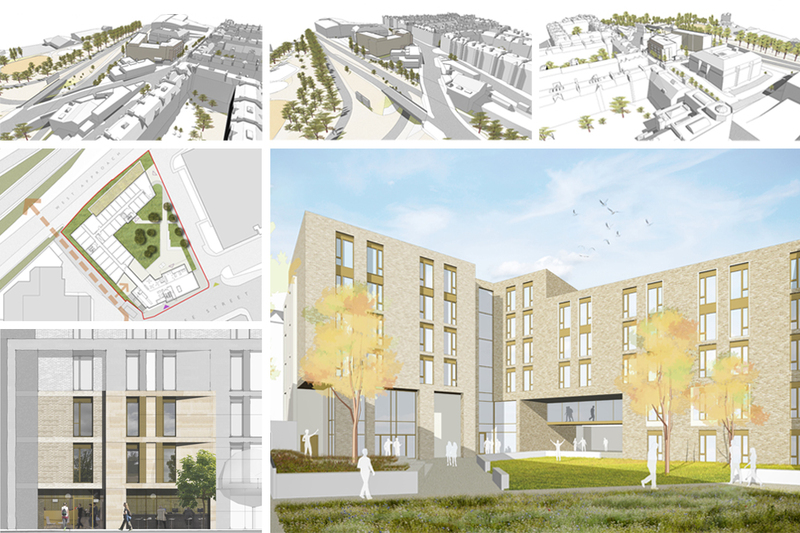 Today GWP Architecture held a public consultation event for a new purpose built student accommodation scheme on Dundee Street, Edinburgh. The development is intended to provide 220 bed spaces over 5 and 6 storeys. The proposed plans include a mixture of studio and cluster flat units with a large communal social space and external courtyard providing dedicated recreational space for the students. The proposals seek to create active frontages to improve the existing streetcape while also contributing to improved pedestrian and cycle connections. This scheme is being designed for Melford Developments Ltd and partner EcoRes, inline with local development briefs for the Fountainbridge area of the city.